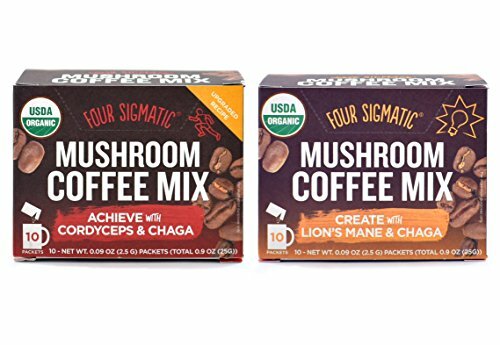 Four Sigmatic Mushroom Coffee Mix Pack of 2 - Lion's Mane and Chaga & Cordyceps and Chaga. 2 Pack Contains 10 Servings Per Featured Coffee. Featured Coffees Include: Mushroom Coffee with Lion's Mane and Chaga, and Mushroom Coffee with Cordyceps and Chaga. Vegan and Paleo. If you have any questions about this product by Four Sigmatic, contact us by completing and submitting the form below. If you are looking for a specif part number, please include it with your message.